What do you think are the most important words you’ll ever write? Perhaps the opening sentence of your novel, the hook that grabs the reader by the short and curlies and never lets him go. And we should always remember the concluding, page-turning paragraph of Chapter 1 (and, for that matter, every other chapter) that leaves the reader begging for more. And how about the “blurb”—the marketing copy that excites book-buyers so much that they take it straight to the checkout counter. Maybe it’s the climax: when you write or figure that out first, everything from page one of Chapter 1 to the dénouement can fall into a logical whole. These are just a few of the many possible candidates for “the most important words you’ll ever write.” I’m sure you have your favorite. The dénouement is, in many respects the toughest part of a fiction book to write and the most important to read. It must tie up all those loose ends while leaving us on a high. Too many dénouements leave us readers unsatisfied. But that follows a book’s climax, which is also crucial, once we get to it. Working backwards, through all those page-turning chapter-endings we reach sentence number one: the hook. They must be the most important words in the book. After all, if we don’t hook the reader in the beginning, she’ll never get to the end. Have we seen that all-important hook yet? Nope. And we won’t. Not until we pick up the book and open it. So why will a potential reader who’s never heard of your book pull a copy off the shelf and “Look Inside”? The title grabs your attention. That’s what does ALL the heavy lifting—and I have the misfortune to be able to prove it. Which one do you think sold better? If you guessed the one on the right, you’re dead wrong. Did I say “two” books? They’re both the same book. The only difference is the title and, hence, the cover. Becoming Rich, published 2005 in hardcover by St Martins Press, New York,had several tens of thousands of dollars spent on publicity—and died. A couple of years later, some 350 copies of the one-and-only print run of 5,000 were remaindered. A mere 4,650 copies sold. Around the same time, the Inverse Books (Hong Kong) edition of The Winning Investment Habits of Warren Buffett & George Soros published 2004, had completely sold out its first 5,000 hardcover print run and I’d gone back to the printer for a second print run of 5,000. Inverse Books, by the way, is my own imprint, and today I only have a handful of these hardcovers left. To put this in perspective, my edition was only on sale in a few countries: Australia, New Zealand, Hong Kong, Singapore, Malaysia, and a few smaller Asian markets. St Martins Press, however, had the whole of the US, Canada, and the Philippines to itself. Plus most of the rest of the world (ex the British Commonwealth) on a non-exclusive basis. In sum, I sold twice as many copies in a market way less than one-tenth the size of St Martins’. Same book, different title. On a simple per capita projection, St Martins Press could have sold some 100,000-plus copies of Winning Investment Habits instead of 4,650 copies of Becoming Rich. Excuse me a moment while I weep. Luckily, when it came time for the paperback edition the publisher, in an admission of failure, suggested changing the title to How to Get Rich—a variation on a failed theme. So I convinced them to use the original. The American paperback edition (cover at right: a much better design than the Inverse Books cover to the left of Becoming Rich, above) is now in its eighth printing, with no publicity whatsoever. I should have known better. I cut my teeth in the world of direct mail marketing where the most important element of an ad is the headline, and headline tests are a matter of course. This is the world where the addition of a single word—FREE—to a headline can increase sales by 35% or more; where headline #1 can outsell headline #2 ten or more times; where the first three rules of marketing are test, test, test. Or to put it another way, only 20% of those who read an ad’s headline are intrigued enough to read on. The same principle applies to book titles—the more intriguing and compelling the title, the higher the “pick me up” ratio. And the higher the “I’m hooked” ratio as well. A couple more examples. 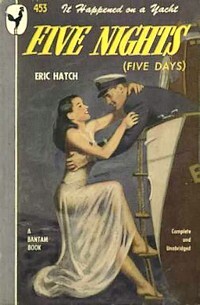 Little Brown published a novel titled Five Days in hardcover. It died. The Bantam paperback edition was retitled Five Nights (Five Days)—and took off.Nights sell better than Days! The one on the left, first published in 1970, sold 750,000 copies. Hardly surprising, with a title like that. But…all 120 pages are blank. The only thing that sells this book is the title. Which is so good, there are two knock-offs: the two books on the right have the same title, and the same content (or lack thereof). You can even buy a Kindle edition (go figure!). But hang on, you might be thinking. What about word of mouth, endorsements, reviews, promotion, and everything else that goes into marketing a book—aren’t some of them more important than the title? Sure, some factors can have a much greater impact on your book’s sales. If John Grisham endorses your novel or Warren Buffett plugs your investment book, that rather than the title will probably get you on a bestseller list. Exceptions like those merely prove the rule. F’rinstance, if your best mate tells you Becoming Rich is a fantastic book (which it is, of course, despite the title :-)) while another raves about The Winning Investment Habits of Warren Buffett & George Soros, which one are you more likely to buy? Or: if these two books land on a reviewer’s (or agent’s or publisher’s) desk, which one is she more likely to pick up? The one with the title that sticks in your mind like glue. And you have about two seconds for that glue to harden in a reader’s consciousness. 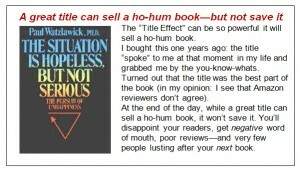 Book browsers aren’t the only people who succumb to the “title effect.” So do agents, editors, publishers, book reviewers, book sales people—and those all-important people who decide whether to carry your book or not: bookstore buyers. Not to mention those hardworking people in bookstores, who decide whether to display your book spine or cover out. Both Barnes & Noble and Borders (before it went bust) stocked The Winning Investment Habits of Warren Buffett & George Soros. But only Barnes & Nobles stocked Becoming Rich. Ultimately, it makes no difference whether you come across a book by accident while walking the shelves, browsing on Amazon, from a friend’s recommendation, a review you happened to read, or some other mention of it: a better title will multiply the effect of every other marketing effort. Once your book’s “out there,” you’re stuck with the title. You can change the subtitle, rewrite the book and reload it on Amazon, change the cover design, the blurb, the flap jacket and back cover copy, and so on. But change the title and you stand to lose the traction you’ve already gained in the marketplace. Sure, if your book has no traction, like Becoming Rich, by all means publish a new edition with a new title. But better to get it right in the first place. Especially when your book comes from a major publisher. You have one shot and one shot only of getting on the bestseller lists. Becoming Rich never had a chance. 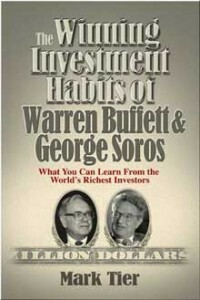 The Winning Investment Habits of Warren Buffett & George Soros could have made it—if the hardcover had come out with that title. Which is why I’m convinced a book’s title are the most important words an author can ever write. Every time a write a new book I struggle with the title. I hope the third time’s the charm!!! You make a strong case for the importance of title! 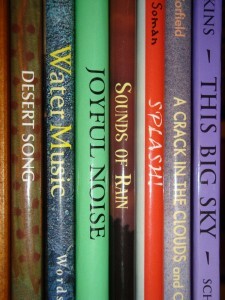 Along the same lines, the cover is a critical part of a book’s success or failure, especially in the era of e-books with thumbnails of the cover. You have to make sure your cover looks enticing when reduced to the size of a postage stamp. A romance writer who publishes on Amazon changed her cover from something generic and tasteful to something more provocative and her sales surged. What a great idea! How about taking the two covers into bookshops and asking the staff what they think? People LOVE to give advice…and, of course, they’ll remember you when the book comes out. I think I’ll do that myself in future, in addition to asking people in the street. You’re right, Mark! The title (and book cover) are key! 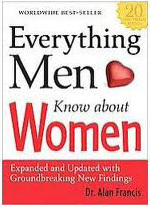 That’s what John Gray found out when he changed his book with a boring name to Men are From Mars, Women are From Venus. Thanks for sharing this important info with us Mark. When I first read your post on Linkedin, and before I read your blog here, my first thought was, The Title first, and the opening line, second.It seems like it took forever for me to come up with the fist line, first paragraph hook, however, I feel I have. The title came at the very end of the story, actually the last four words written as the climax. I guess we’ll see when I finish editing the story, which is coming by the middle of November, hopefully. I definitely will take your advice before carving it in stone. The empirical data seems to support your conclusion. I’d like to hear your thoughts on *why* the better title is better. Why? Great question. The subject of a whole other article. Two actually: fiction and non-fiction titles require different approaches. Winning Investment Habits is unique. Becoming Rich is not. 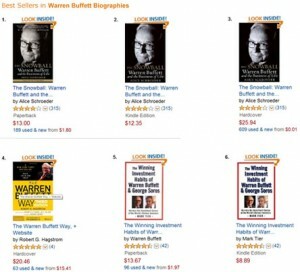 If you search Amazon.com for “winning investment habits” you get 2 pages of results; “becoming rich”: over 100. Just about anyone could have written a book called Becoming Rich. And many have: Kiyosaki, for example, used “becoming rich” in a subtitle. 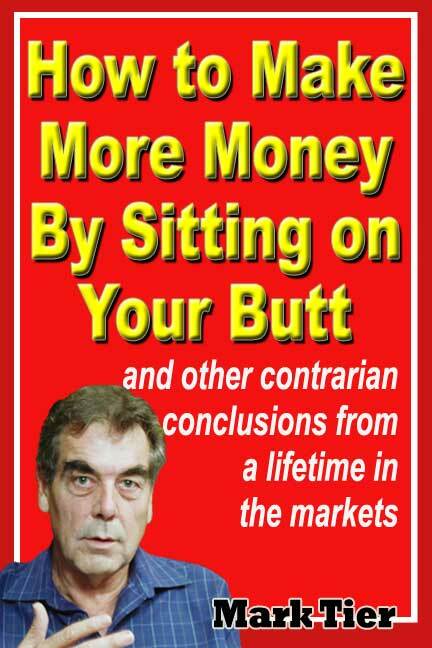 Winning Investment Habits is a book he could not have written. Celebrity appeal: Warren Buffett and George Soros are part of the title. 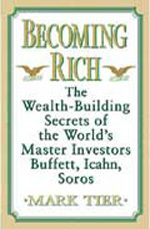 Buffett, Soros, and Icahn are mentioned in the subtitle of Becoming Rich. But you have to get to the subtitle to see them. And full names are better. The promise: Winning Investment Habits: you’re going to learn something new and specific from the world’s richest investors. 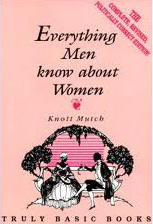 Indeed, the theme of the book is right there in the title. Becoming Rich: hmm, vague promise at best. Intrigue: Habits? What earth do they have to do with investing? I hope The Nemo Conspiracy is a grabber, but by the time I have it finished the title may already be in use. I have an alternate title in my hip pocket. Best to you, Mark. I like that title, Frank. I’d pick it up and see what it’s about.